What does your face say about you? 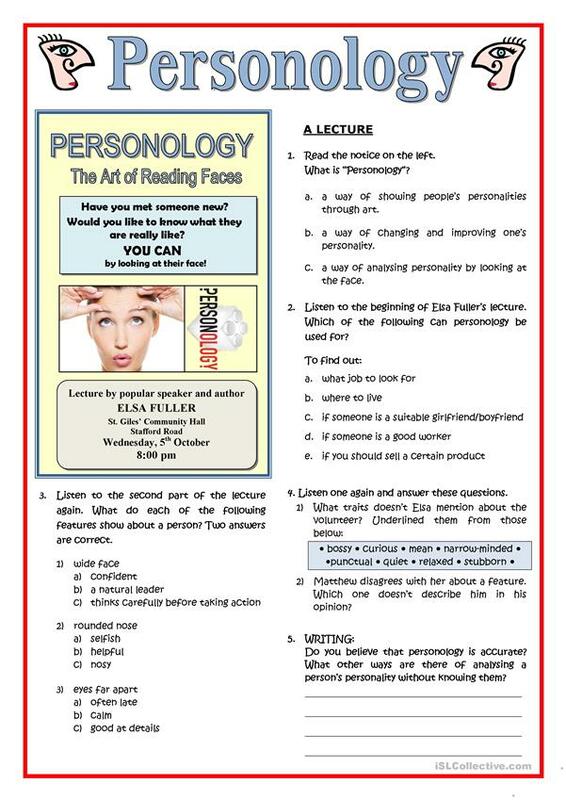 Students learn about this theory, personology, that shows a way of analysing personality by looking at the face. 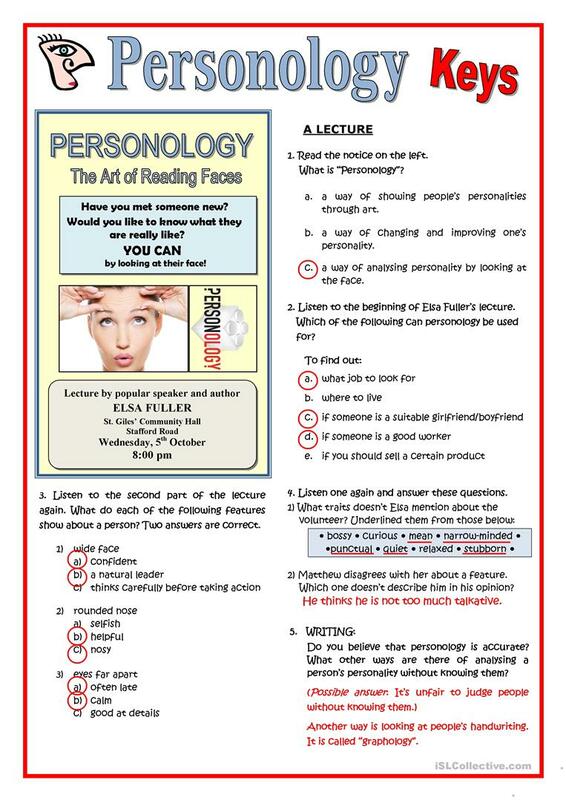 It is useful to practice adjectives of personality and starts a discussion on the topic. 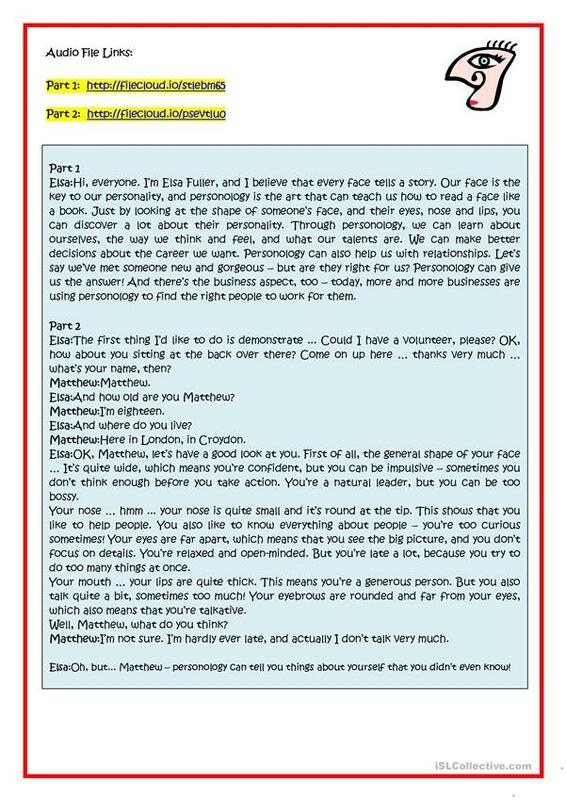 Audio file links , script and key provided. The present downloadable printable is meant for high school students and adults at Pre-intermediate (A2) and Intermediate (B1) level. It is great for consolidating Adjectives and Adjectives to describe personality and character in English, and is useful for improving your groups' Listening and Speaking skills. It centers around the topic and words of Personality and character. It includes the solutions, too.